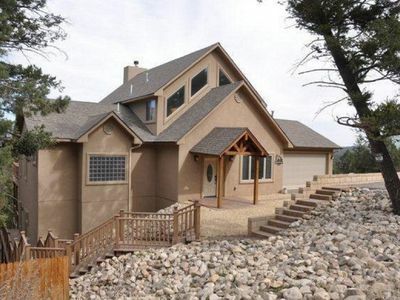 This is a recently remodeled 3 bedroom home on a big property located near the 16th hole of the Links golf course. 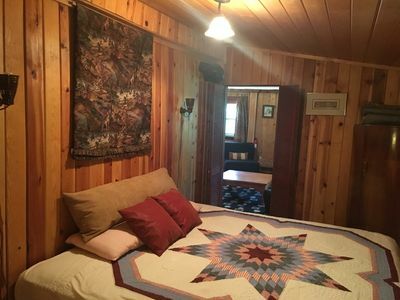 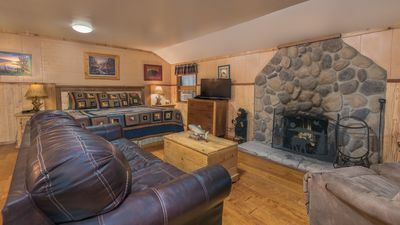 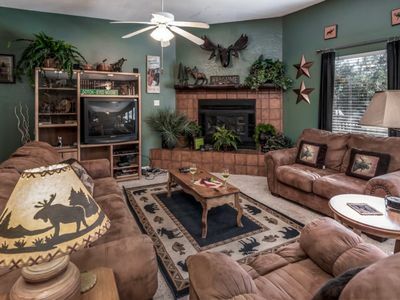 It sits in a large property that backs up to a small creek and friendly neighbors. 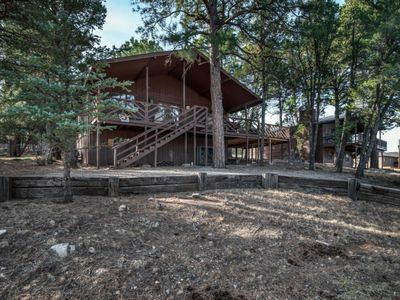 During fall and summer, the back yard has a picnic feel with plenty of space to enjoy the woods. 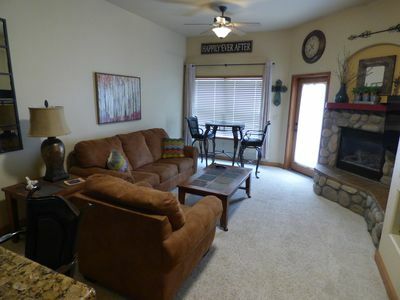 This location is also 50 feet from the golf course walking trail. 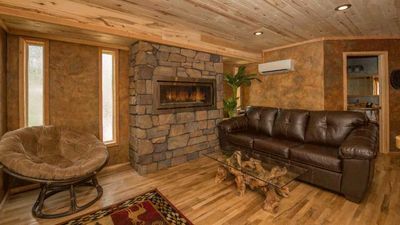 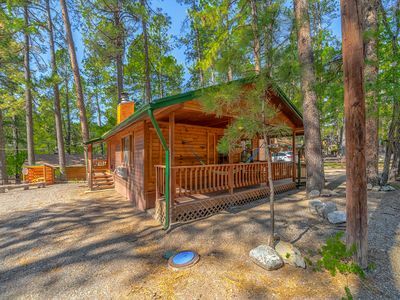 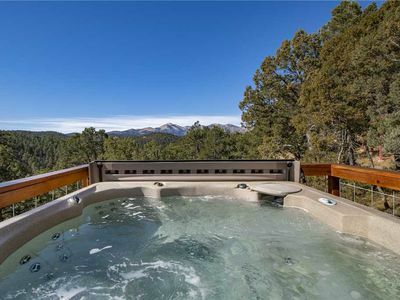 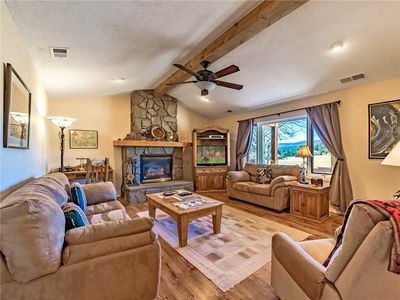 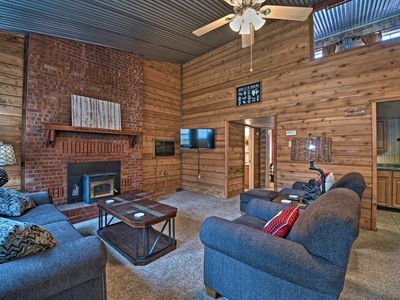 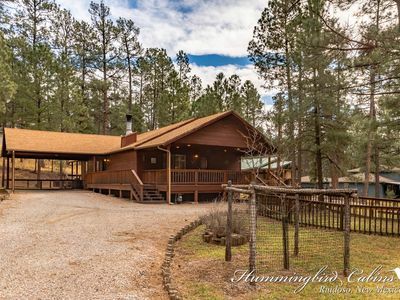 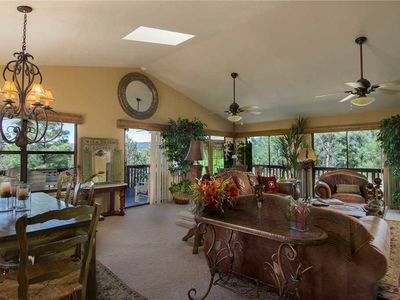 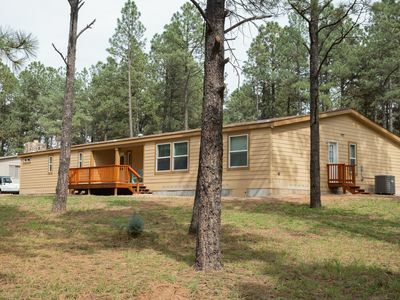 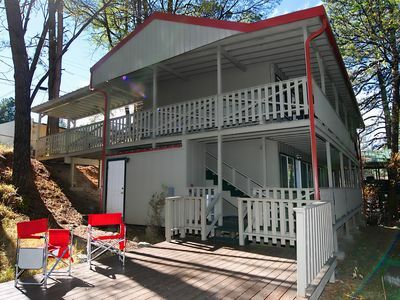 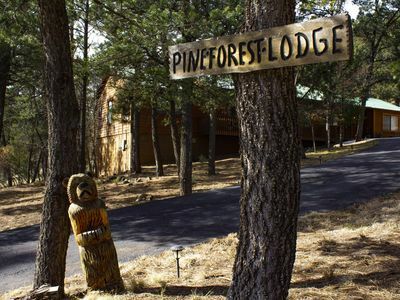 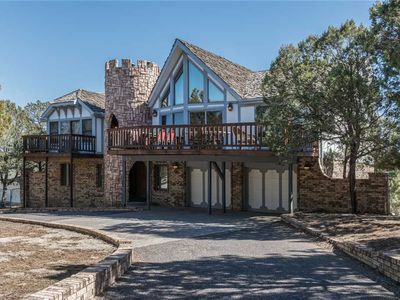 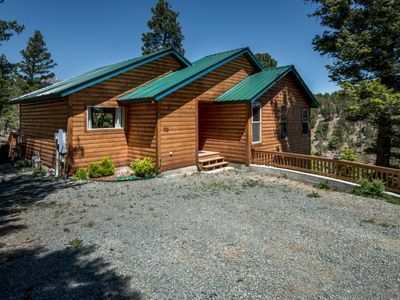 In all, the property is centrally located for any Ruidoso attractions such as golfing, skiing, mountain biking, etc.. 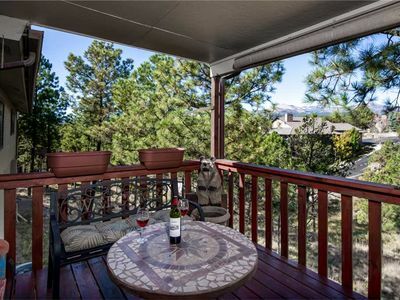 In addition, its very close to midtown, restaurants, movie theater, grocery store and ski shops. 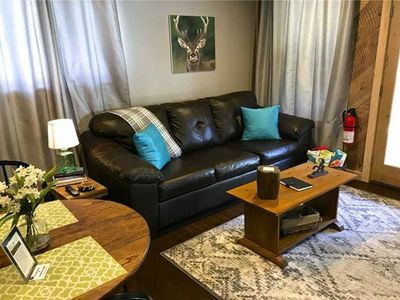 Recharge - In Midtown, On The River - Convenient - Walk, Don't Drive!